What Happened to Aaron Robertson’s Sperm? When Sarah and Aaron Robertson married, they knew their time together might be limited. Aaron had Marfan syndrome, a genetic disorder that affects connective tissue throughout the body. It often leads to serious heart complications and can be fatal. She takes a moment to compose herself. It sounds like she may be crying a bit, but it’s hard to be sure on the phone. 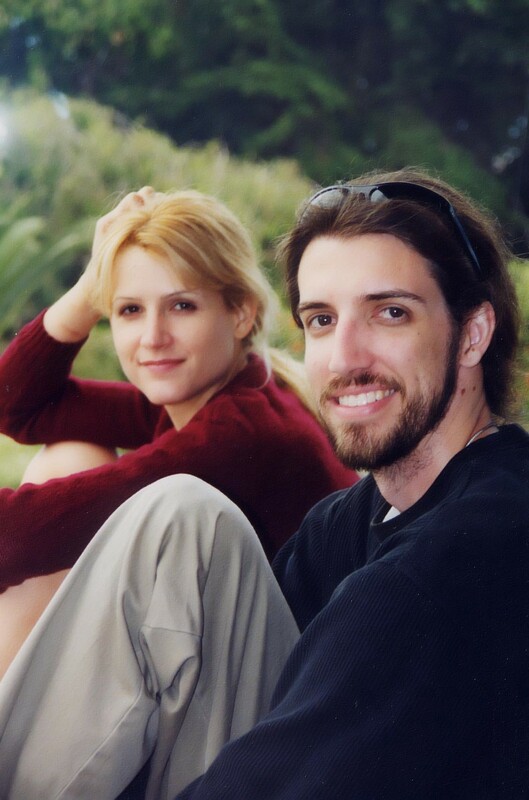 Sarah and Aaron were high school sweethearts, and married in 1995. They always talked about having a family but wanted to wait until technology existed to test for Marfan syndrome to ensure they didn’t pass it on to their children. In 2004, Aaron suffered a stroke, went into a coma and passed away shortly after. Doctors had told Sarah “her husband’s condition was terminal and there was no chance of him recovering,” according to court papers, so she and his parents approved a procedure to retrieve his sperm and tissue before he died so that one day, Sarah could have his child. She knew there was a good chance any child they had together could inherit Aaron’s Marfan syndrome and wanted to wait to conceive. The technology to detect Marfan syndrome in an embryo didn’t exist in 2004; it does now. Doctors confirmed that Aaron’s sperm were viable and took six vials. They were stored at a cryopreservation and storage facility in Los Angeles. The facility changed hands in 2006 — purchased by Dr. Peyman Saadat, a fertility doctor with his own practice. Sarah was assured that nothing would change. Saadat is “an excellent physician and has my full confidence,” the previous owner told her, according to court papers. Sarah paid the storage fees, and in the meantime, went back to school. She saved money to buy a house. In 2014, ten years after Aaron’s death, she called Saadat’s office to have the vials transferred to her personal doctor so that she could begin in vitro fertilization. She was ready to get pregnant. But, according to court papers, the vials were gone. According to court documents, Saadat’s office said that there was only one vial remaining. Saadat told Sarah the other samples were destroyed in a fire. She wanted the remaining vial to be transferred to her personal fertility doctor. Instead, Saadat told her, according to the complaint, that he could do the procedure himself. “I give you a baby, I give you a baby,” Saadat is alleged to have promised Sarah, according to court documents. After she declined to have him do the procedure himself, Saadat’s office informed her that the remaining vial did not have Aaron’s sperm after all. According to the lawsuit, the sperm belonged to someone else. “I am 100 percent convinced that had Sarah not stood her ground, [Saadat] would have utilized whatever sperm was in that vial without any regard as to who really owned that sperm,” says Vorzimer. “Because Aaron was now dead, [there was] no ability to do a paternity test,” he adds. “They don’t just go missing,” Sarah says about the six vials. Now her concern is that they might have been given to other patients. There is a strong chance that many of the sperm in Aaron’s sample carry the genetic mutation for Marfan syndrome. About 3 out of 4 people with Marfan syndrome inherit it, according to the Marfan Foundation. There is no public evidence that Saadat gave Aaron’s sperm to anyone else. But Sarah and her attorney suspect it. On the website for Reproductive Fertility Center, the clinic that Saadat runs, there is a photo of a blue-eyed, smiling baby, a woman holding a baby up in the air, a close-up of a pregnant belly. “Our success will be your baby,” it says. Saadat is licensed to practice medicine in California and board certified in Obstetrics and Gynecology and Reproductive Endocrinology/Infertility according to the American Board of Medical Specialties. He gets five-star reviews on Yelp. A press release from his office says Saadat was named “America’s Best Physician 2016” by the National Consumer Advisory Board. But the National Consumer Advisory Board is a homeless health-care organization with no connection to the “America’s Best Physician” award. In his press release, Saadat links to a site called America’s Best Physicians, an organization with no clear accreditation or information on who gives out the awards. There is a Gmail address to contact. When I did, someone named Mike told me, “The site for the National Consumer Advisory Board is another organization with a similar name,” and would not answer any other questions. The domain for America’s Best Physician is registered to a proxy company in Scottsdale, Arizona, who would not disclose the owner of the website. Saadat has no disciplinary actions against him with the California Medical Board. The Board would not confirm if there are any existing complaints against Saadat. Complaints against doctors are kept confidential until an investigation is completed. “If these allegations [against Saadat] are true, this is a complete deviation from all standards of care,” says Melissa Brisman, a New Jersey–based reproductive attorney who is not connected to the case. One of the most public cases of an IVF “mix-up,” was that of the Savages in Ohio. In 2009, Carolyn Savage underwent IVF only to discover that the clinic, not named as part of a settlement agreement, had implanted another couple’s embryo. She carried the baby and after giving birth, returned the baby to his biological parents. The couple wrote a book about the experience and went on to have more biological children of their own. Sarah Robertson’s lawsuit is not the only one against Saadat. Back in 1991, Jason Hollman, then 20 years old, was diagnosed with testicular cancer. He had surgery to remove one testicle, and his doctor, according to court papers, recommended Hollman deposit sperm before undergoing chemotherapy, so that down the line, he’d have the option of having biological children. He deposited five vials, according to his complaint, which he kept at a storage facility, the same facility where Robertson kept her husband’s sperm. Years later, Hollman fell in love and married a woman. In 2013 they decided to have children. The plan was for Hollman’s wife to undergo IVF, using his banked sperm. Hollman contacted Reproductive Fertility Center and was told he needed to come in and sign to authorize the transfer to his wife’s fertility doctor, according to court papers. Later that same day, according to court documents, Saadat called Hollman, and told him that “as a result of ‘human error’ that had occurred several ‘weeks ago,’” all of Hollman’s sperm samples had been destroyed. The case is ongoing and, according to Hollman’s attorneys, is in the discovery phase. The next hearing is set for August 2017 in Los Angeles. The case is moving forward. Sarah says she knows Aaron would want her to move on, to maybe meet someone and start a family. She’s open to the idea, but it’s not where her focus is. She still thinks of Aaron, and of the 12 years she dreamed of having his child. Are Cashless Businesses Even Legal?